Fast, reliable and intuitive, the StrikeFire II Red Dot is designed for close quarter engagements where split second target acquisition and a wide field of view are vital to success. 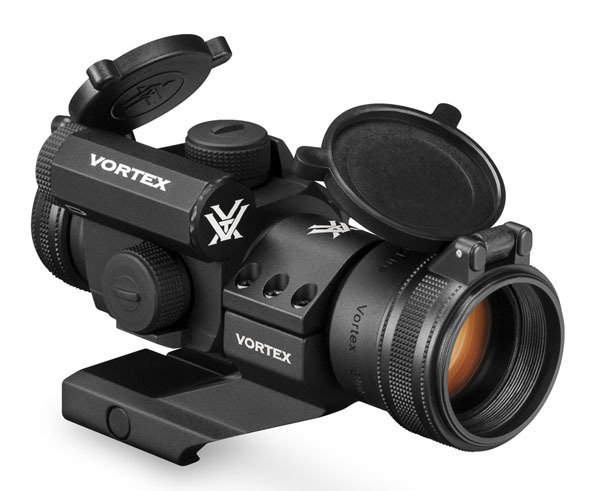 Fully multi-coated with anti-reflective coatings, nitrogen gas purged for fogproof and waterproof performance, rear facing controls for easy on/off selection, ten dot intensity levels-lowest two levels are night vision compatible, single piece aluminum alloy construction, and a lower 1/3 co-witness cantilever mount. Lifetime Transferable Warranty!